More than just storage for your farming supplies, or even shelter for your herd, a good barn is an essential part of your operation. Whether you’re looking to buy a dairy in Greeley, Colorado, or you already own a dairy farm of your own, you may have already realized that a properly constructed barn is a critical piece of the puzzle. By giving your cattle a proper space to live, produce, and thrive, you can ensure your dairy farm will operate at peak performance. This starts with the design of the barn, from the overall size to the capacity of the pen and other sections. Building a proper barn for your dairy farm can be a big project, but that’s why your friends at AGPROfessionals are here. We can help you with everything from financial planning and construction monitoring to overall site layout to dairy facility design. AGPROfessionals is your link to customized agricultural development in Greeley and beyond. Our main goal is to help you properly develop and grow your business to reach your goals, from consulting to advising to engineering to financial brokerage and a whole lot more. Turn to the premier developers of agriculture at AGPROfessionals today to learn more. 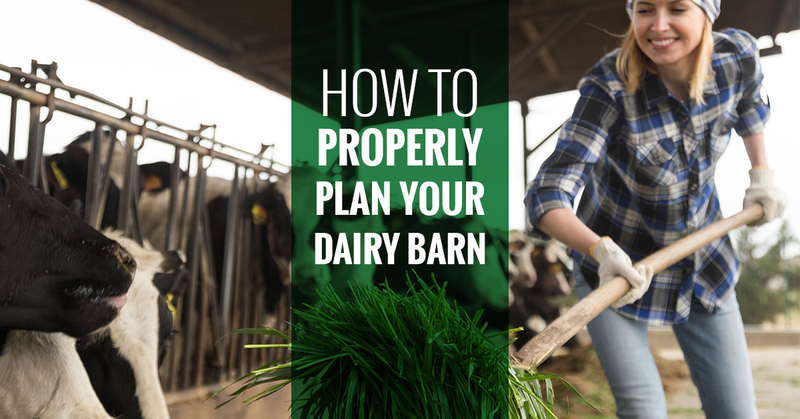 Now, here are some steps for how to properly plan your dairy barn construction. As with most construction projects, the sooner you get started, the better you will be. There are always legal, financial, and governmental hoops to cump through when it comes to permitting for your dairy farm, so it’s important to get a head start as soon as you know you want to go through with a project like this. At AGPROfessionals, we can help you through every step of the financial process to make sure you’re not cutting costs or being taken advantage of by banks or other lenders. The last thing we want is for you to have too little funding, so we will make sure we help you get what you need at the right price. When developing the blueprints for your dairy barn, you certainly need to consider how many cows you currently have that will be utilizing and moving through the barn. It’s also important to consider your potential for growth, especially if profits begin to increase. Make sure you properly plan out your parlor size, holding area, manure storage, and transition cow pen size and account for maximum capacity. Being unable to accommodate as many cattle as comfortably as possible will only end up hurting your bottom line as a business, so you want to be sure you plan thoroughly. Consider spaces for other things as well, such as equipment storage, and office, bathrooms, or other utilities. The AGPROfessionals can also help you with this step, with engineers licensed in California, Colorado, Nebraska, Nevada, Oklahoma and Oregon ready to help you tackle your planning and construction from start to finish. Like we said earlier, there are certain areas of your dairy barn where you definitely don’t want to cut corners. In some places it may be necessary to devote extra time and resources to ensure that your barn is running as efficiently as possible, which can help save money in the long run. This goes for areas such as the milking parlor, where you and your cattle will spend a lot of time. Make sure you have equipment and utilities that will make for a more comfortable working area, not only for you but for your cows as well, and your business will flourish. Ready to get started? Contact the agricultural development experts at AGPROfessionals today.